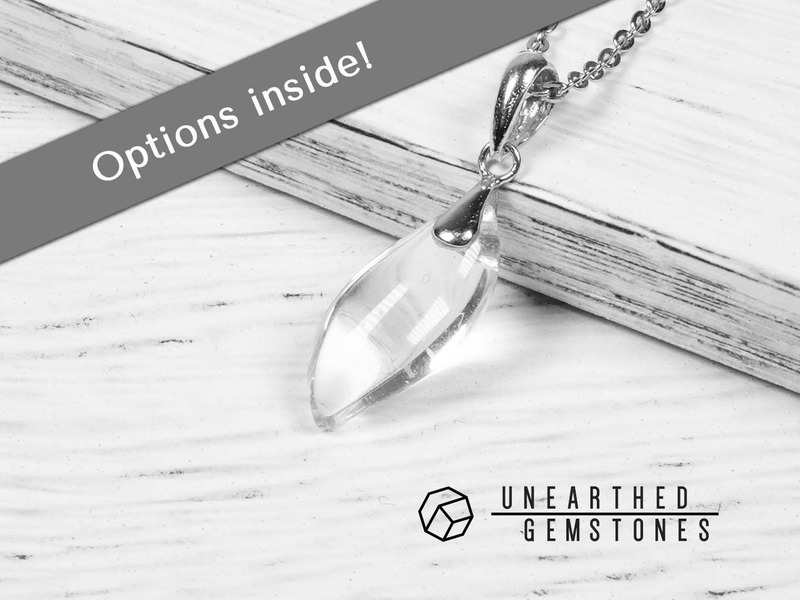 This necklace uses genuine clear quartz with nice clarity. Some natural inclusions are present, but overall quality is quite good. 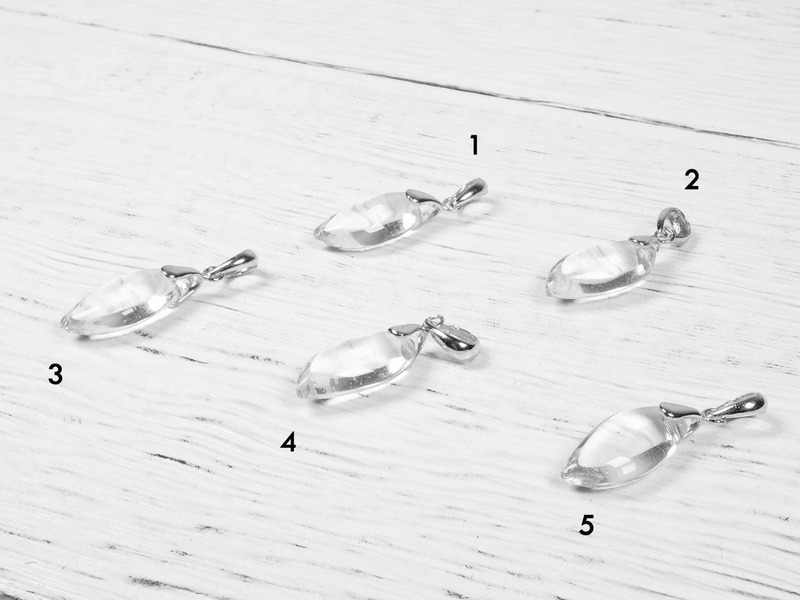 The freeform-shaped clear quartz crystals are paired with sterling silver hinges for a classic design. 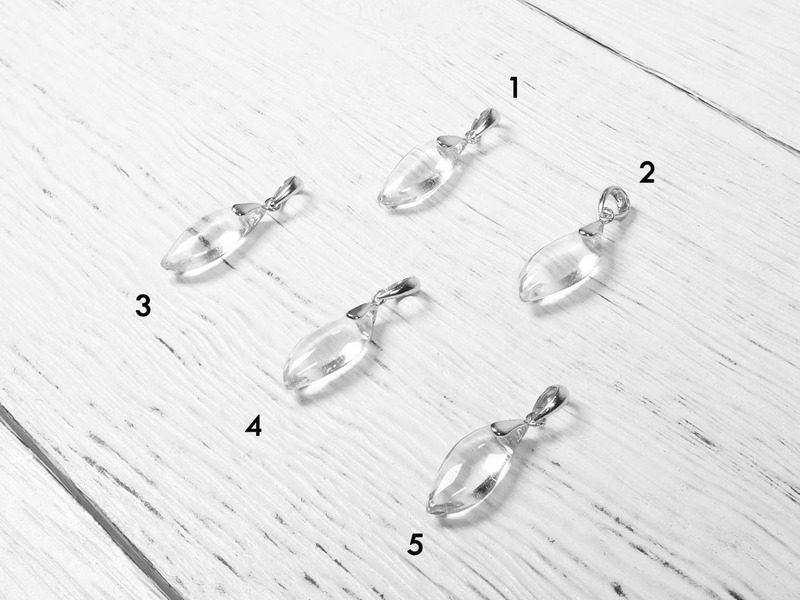 Please be aware of extremely clean clear quartz - ones with no visible inclusions. It is known as hydrothermal quartz. The synthetic process takes place in a laboratory or a factory. To simply put, a 'seed' material in placed inside a chemical solution where crystals are grown. 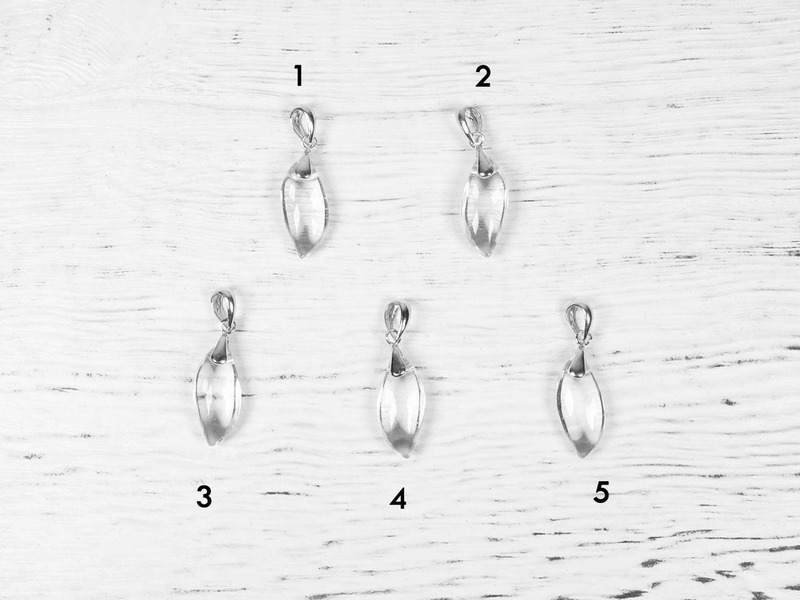 The result is quartz that have no inclusions. 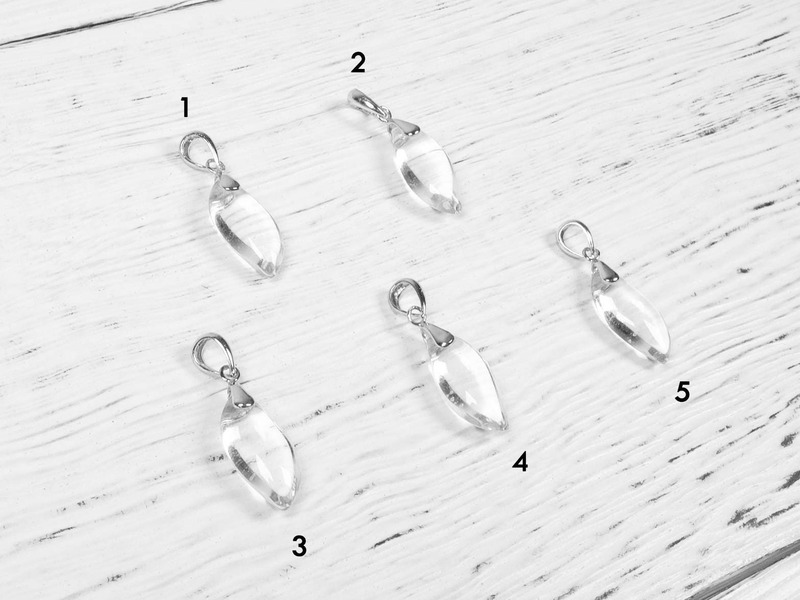 Clear quartz is the colorless variety of the mineral quartz. It is also known as rock crystal. Water-clear crystals were known as Krystalos to the Greeks, hence the name “crystal”. 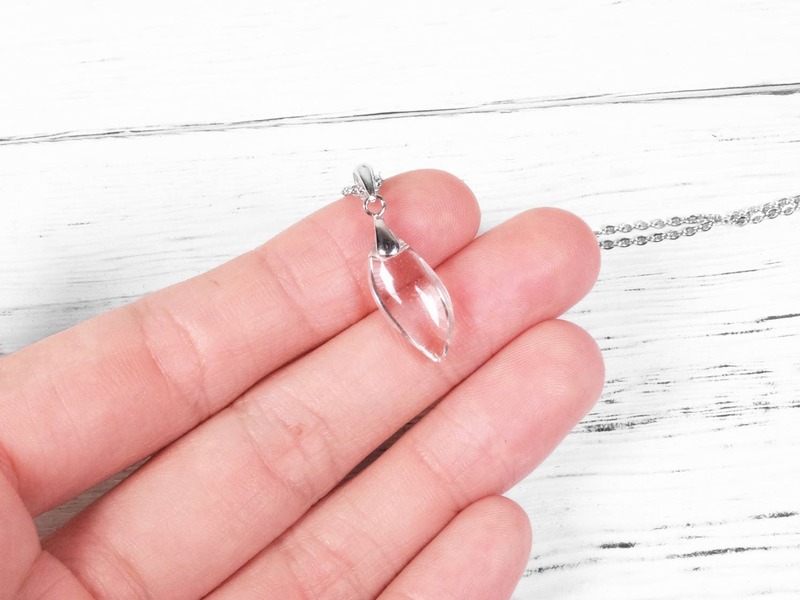 It is common to find clear quartz with minimal flaws.